For the first time I composed a to list for year in retrospect. I’ve discussed my reticence to engage in revisionism anymore with the BAM Awards, but when Cinema Enthusiast was running a poll for the top films of 1982, I had to chime in. My choices are in the featured image. The overall poll results are available here. Each year I will revisit the original, classic Halloween at least once. This year, owing to the new Blu-ray box set I will be revisiting the whole series anew. However, the one I will likely come back to more than once, and always find new things to say about, is the first. With very good reason there has been much made about the use of Steadicam not only in the film as a whole, but also during the opening sequence (one of the last shots in the can during principal photography) where Michael’s POV is taken as he stalks around the house and kills his sister, Judith (Sandy Johnson). Now in technical, artistic and production terms this shot is quite a feat. In the narrative terms it, of course, begins the film with some mystery, a thrill when the POV is broken and a great reveal. However, over the course of time that has obfuscated something of almost equal intrigue (if not anywhere near as hard to achieve as the prior sequence). The shot that immediately follows reveals Michael to be a young child of six years of age (Will Sandin). Here again narrative shock may distract you from absorbing what’s happening in its fullest implications. The cut occurs when his mask is removed. We see his face and pull back. As we do, we are introduced visually to Michael’s parents. They look shocked, try to get his attention and the camera continues to methodically crane away. As the camera makes its move there is an unnatural lack of movement in the mise-en-scène, it can be argued, by all parties. Even if you’ll give a pass to the fact that Michael doesn’t move; owing that to some semblance of shock he may be feeling (which would be the last time he really, totally felt any sort of human emotion), then you still have to consider the parents who having found their six-year-old with a bloody butcher knife merely stand there befuddled and scarcely move or comment after having merely called his name a few times, mom crosses her arms and dad takes a step back. That’s it. Previously, I believe I had dismissed such concerns owing to the fact that the shot needed to happen, and being a director that sufficed. However, the shot can still go on with some more movement by the players as the camera drifts away. So, what was it that was compelling this blocking? It’s a choice so conscious it cannot be dismissed as an oversight and has to be viewed as intentional on the part of the director. As I watched it this time it struck me. It was so obvious I can’t believe I hadn’t considered it before. What is being created is a cinematic equivalent of a tableau vivant. This is a technique that is rarely implemented on film, however, it’s one I always felt a powerful to implement on stage, and when one considered some instances in which they are used (such as in fairly tales or religious stories) it starts to make sense. Tableau vivant (plural: tableaux vivants) means “living picture”. The term, borrowed from the French language, describes a group of suitably costumed actors or artist’s models, carefully posed and often theatrically lit. Throughout the duration of the display, the people shown do not speak or move. The approach thus marries the art forms of the stage with those of painting or photography, and as such it has been of interest to modern photographers. Usually the only times this has been approximated on film or television that I can recall off the top of my head is is in very obvious circumstances where a character would say “Freeze” or some other directive like it and rather than freeze framing the actors stop moving. One notable example of this was the children’s sitcom Saved by the Bell. Now here you have a far more subtle form and the reason I believe it is: one, is that it is allowing the events to sink in; two, building a legend; three, ending a chapter in the story prior to moving to another one. In the world of this film, in this town, this is the local legend; this is the boogeyman. Now that we the audience know what happened, have ruminated on it for 29 seconds during the shot (Yes, 29 whole seconds this shot runs uninterrupted; quite nearly unconscionable now) here is a story set in the present (1978) about the same town, and what happens when he comes home. It’s the kind of time-taking and camera move that you wish was easier to get away with in the modern language of cinema. However, it is the way that this shot works, the way it so perfectly caps off the opening salvo of this film that has allowed it to stand the test of time and multiple viewings without even being subject to tremendous amounts of scrutiny. Although, as with most things in Halloween, added scrutiny only enhances the mastery of the work, and doesn’t diminish it in any way, shape or form. I figured this year I’d change things up, oh-so-slightly. Rather than have the following intro bulk up the beginning of each post I’d have it in its own post. Not only that I figured I’d also have a huge list of the films included in the past for two reasons: one, so you all can have easy access to the titles featured previously and, two, so I don’t accidentally repeat one. Enjoy and look for 2013’s first title later today. I also hope to have much more than last year’s offerings, and ideally a post a day. Subscribers be prepared to occasionally get a few notices a day as some regular site features will continue as per usual. “Leaves the door wide open for a sequel,” is a phrase that was not part of the cinematic vernacular even in the 1950s. It really does sound like something you’d say after watching a slasher movie. These films, of course, were very popular in the 1980s, but just because you didn’t see a horror movie didn’t mean you were safe from someday hearing of a sequel. In the 1970s the ‘pre-sold’ product became a big thing with studios there were many literary adaptations so logically sequels would soon follow. In 1981 there were 42 sequels produced worldwide; in 1989 there were 124. 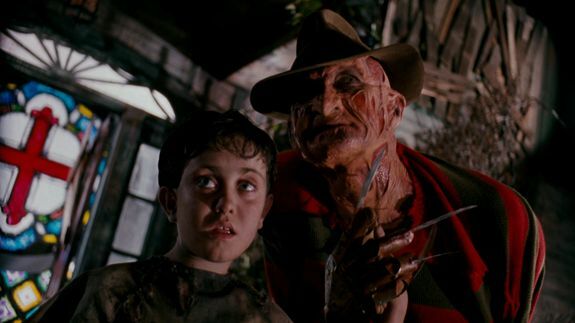 By the end of the 80s there were six Police Academys, five Halloweens, Howlings, Star Treks and Nightmare on Elm Streets; if you wanted to kill someone you could strap them to a chair and make them watch these in succession. There’s probably more but it would get redundant. As opposed to the positive legacy of special effect, the 80s left us with a trend that has only gotten worse. 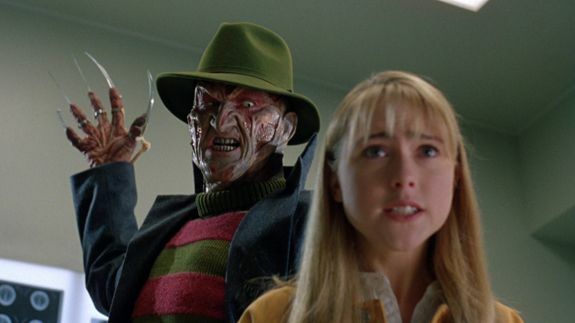 While there are no new series that are growing ridiculously, although Friday the 13th has reached 10 [now 11 with a 12th in development], it is much easier for a film to get a sequel now such as Legally Blond which didn’t even hit 100 million, but was made on no budget so the profitability was easier to hit. Another new trend is immediately announcing a sequel: when Spider-man opened with $115 million dollars in its first weekend the studio announced plans for a sequel. Opening weekend sequel plans have become commonplace and they can be directly blamed on the 80s who exacerbated sequel-mania in a need for guaranteed money. While the contrived sequel can be called a spawn of the 80s on the good side there is also the series. The difference is that a series is a story that is not supposed to be in one film or book as the case may be. While there was only Indiana Jones and Star Wars these films helped develop the business concept of ‘the franchise,’ more so to me than the other films than those sequelized ad neauseum. The franchise by my estimation is a designed series of films that will also be a cash cow. To me these two series planned by Lucas and Spielberg are what set the stage for some of the better films of our times. The studios relied on the sequel for easy money because the horror films that made them all their money were pick-ups. The Slasher Trinity of Halloween, Friday the 13th and Nightmare on Elm Street were all independent productions which cost their respective distributors practically nothing. Thus, when they each took off like rockets they didn’t want to see the profits stop. And like at anytime in film history, you never know what’s going to be a hit and what isn’t, no matter how much test research you do. So they figure they’d just repeat what worked. And people went, and will go, if only out of curiosity. While I can justify all these sequels that seemingly have no point I in no way excuse them. Because what started as just a rash has become a plague and now any film which shows and inkling of profit potential is a candidate to be butchered and repackaged in a sequel. For the most part I very much enjoy these films of the 80s, but a tendency towards needless repetition is something I can live without. Note: This is a recapitulation of a paper I wrote in film school. It will be published here in installments. This is part four you can read part one, two and three here. Now that I am into all new selections, meaning that they are both new to me as a writing experience and as a post to this site, I do want to step back a bit from typical review format when possible. Spoiler Alert: I will be analyzing the film with some detail. Themes have a way of evolving. 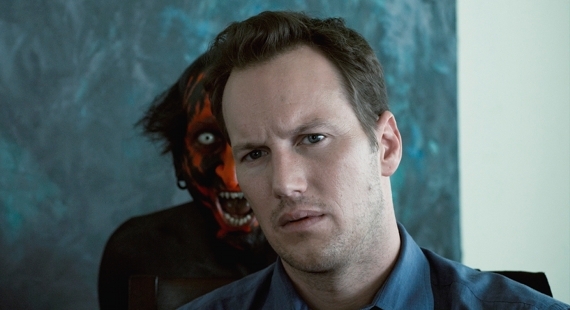 Initially the idea was to watch a horror movie every day during the lead-up to Halloween, typically a new one. However, now I watch enough horror films as a rule that seeking out new doesn’t always win out over revisiting what definitely works. 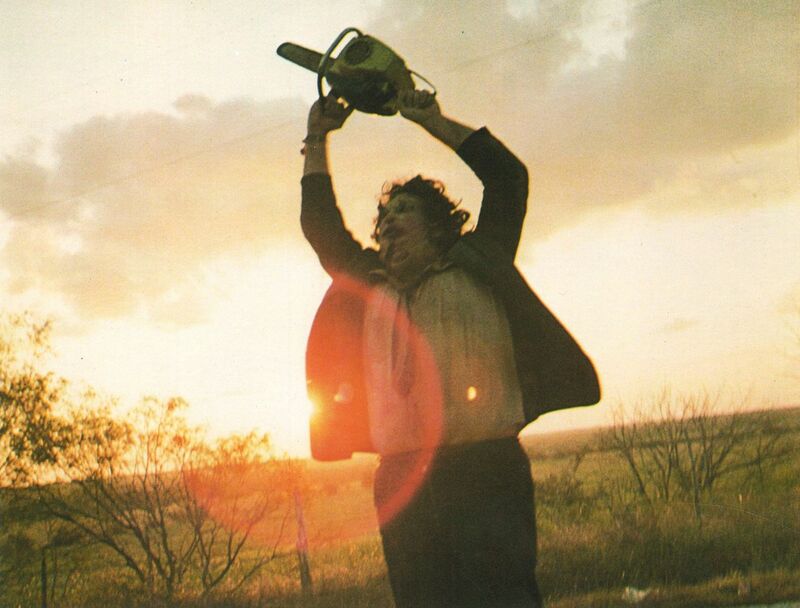 The Texas Chainsaw Massacre was a film I first saw in a horror/sci-fi class in college. I signed up to get many weekend screenings and see some mandatory titles. The first time I saw it is something I’ll never forget. It was the 20th of 20 screenings, and aside from the fact that our professor had an uncanny knack for programming double- and triple-features, it was the the most memorable ‘lights up’ after the film. It was dead silent, like the the first moment of calm after a bomb went off. We all looked around at each other checking each other’s level of unease. This film is post-Psycho and pre-Halloween and bridges that that gap. It takes the quantum leap and amplifies Bate’s mommy-fixation to a family affair. However, it also, on a mass consumption level, creates a faceless (for most of the film) killer. Clearly, many of its motifs, whether original to the film or not, have become favorites: incessant, brutal noise followed by shocking dead silence; the sound of a flashbulb; the faceless killer; lack information about the antagonist amongst others. Perhaps the most important thing is not listed above: “Why me?” as it pertains to the pursued in a horror film is still a question that many films feel the need to answer. It was films like The Texas Chainsaw Massacre that made identity, pathology and reason behind these killers less necessary than ever. In fact, the issues in long-running series are introduced by reason. You’ll recall that Michael Myers history was discussed in Halloween but Laurie Strode being his sister was only added as a plot element in the sequel. In the first film, we just assume he chooses her because he sees her and his psychosis is enough reason. The very fundamental fear of it could be anyone, even you, makes it a universal fear. Bringing it back to Chainsaw what it does is flirt with overt and obvious set-ups and discard them: Yes, the the hitchhiker’s crazy but they jettison him. There’s no short-cut missed, there’s no getting lost. They break down but are not found at random. It’s their choosing to go to the wrong place that crosses them in the wrong path. In a way it takes you back to a similar idea in Psycho: if Marion Crane drives on, or is allowed to sleep at the side of the road, the movie ends up being about her trying to get away with the money. There is minimal “Oh my God, that was so dumb!” in TCM. Mistakes are immediately punished, and on two occasions Sally flings herself through a window to escape. The fact that you can fault little of what the protagonists do once found, or even in order to be found, makes it that much more immediate and palpable, as insane and unnatural as the family dynamic, psychosis and actions may seem. It’s a master class in tone that starts from the read-aloud title crawl that haunts you, and then very normal things unfold slowly and get weirder and weirder. The sound design of the movie barely incorporates music, and relies on the chilling nature of the sounds of the story: the screaming, the buzzing of the chainsaw, the insane cackling of the family, the blunt thuds of blows. And flipping the vague antagonist on its side, it’s a film that becomes about its victims and trying to survive. You may not like all of them, and that’s fine, but you know who they are; and to me it passed a crucial test which is I want these people to survive ultimately, some more than others. The Texas Chainsaw Massacre is also the rare horror film that leaves you more unsettled after its over than you were before it started. Going into a horror film you’re amped. You’re hoping you’ll be scared, amused, entertained greatly; it bumps your adrenaline in anticipation. What this film does brilliantly is that it leaves a sole survivor, but her laughing hysteria at the end combined with Leatherface’s grostesque chainsaw ballet make for a chilling conclusion. The cherry on top in essence, this film just scared the hell out of you, it gives you one survivor, but he’s still out there and just as insane as ever. Last year was the first time I saw Trick ‘r Treat. I had heard about it long ago and was looking forward to it. Frankly, the fact that it was pulled from theatrical release has always been a bit disappointing. What I didn’t fully understand at the time was that it was cold feet caused by content not quality. Regardless of that it made it hard for me to see that year. The good news is that whether it was a theatrical release or not it was still likely to find its niche on home video. I finally saw it last year and it was one of my favorite discoveries among films of older vintage. This year I revisited it, and boy did it ever hold up. 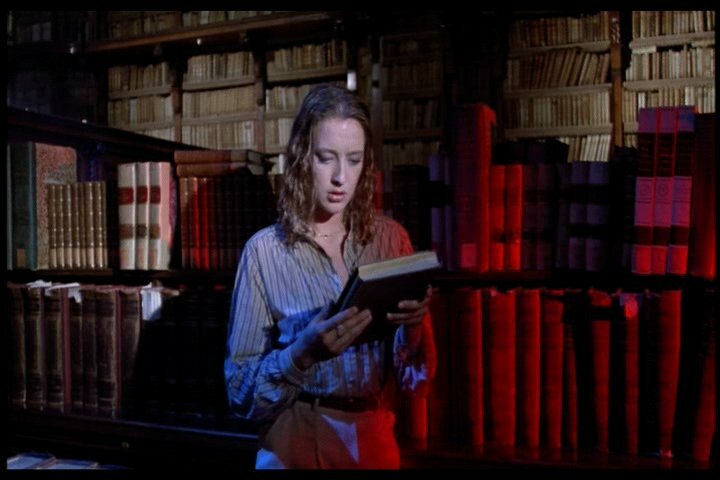 As I recently alluded to in another piece, I’ve seen quite a few horror anthologies this year. While I bristle a little at the notion that this is “merely” and anthology; it is the best categorization. What makes me bristle is that unlike many it’s not divided, it’s virtually seamless; it uses something closer to interrelated vignettes. The tales occur over the same night, characters cross paths with one another, Sam is present in all of them (although he only reveals himself and purpose at the end), it holds together, things feed off one another and connect to one another. Come December I will be writing about why the 24 Hours of A Christmas Story works, and having recently learned that FEARnet will do the same with this film, it makes sense for the same reasons. With the way the respective narratives unfold with connected, unified tales that are both seasonal and anecdotal. They both encompass and embrace the season in such a way that lends itself to repeat viewings. Furthermore, once one knows these narratives well, as I do with A Christmas Story and am starting to with Trick ‘r Treat, it is also conducive to partial and repeat viewings. What Trick ‘r Treat does best is that it combines and connects various types of stories about Halloween in a natural and wonderful way. Many of the narrative threads when analyzed will seem very like a (sub)urban legend but rarely, if ever, does it seem to be blatantly so. The narrative unfolds without the patterns and possible connections revealing themselves before they’re necessary. The most satisfying thing about revisiting this film was that very little luster wore off the impactful moments, whether just before or just after certain incidents I was thinking to myself “Oh, yeah, I remember this” and always the rediscovery was gleeful. Trick ‘r Treat, so far as I can tell, has already achieved something of a cult status, but as time goes on I only see that growing, as more and more people will come to discover it. Whenever there is a DCOM (Disney Channel Original Movie) that I am reviewing I always feel the need to remind people that my rating scale pertains to how well the film accomplishes its objective, as opposed to comparing it to things it is not and not trying to be. This is not to say that even in the microcosm of DCOMs that there aren’t films that have fallen flat on their face. Some have landed amongst the worst of the year. Usually the key to success is being seasonal or based on a show, rare are the out of the blue High School Musical success stories. Getting back to the seasonal aspect of the film: it had been a few years since Disney did anything both Halloween/horror-related and released prior to the day, add to that the fact that it’s the first non-sequel (a la Halloweentown or Twitches) in a while and there was great promise here. The talk of sequels brings us to the most glaringly unfortunate aspect of the film. There is a liberal bit of borrowing, mainly from Ghostbusters, that goes on. References to other works that are far more conscious and meta come in later, but that one never gets joked about. Thankfully, there are enough twists, differentiations and its own goofy brand of humor that it minimizes the encumbrance of that fact. In the end, these hunters are more like actual versions of the bogus ones on reality TV. I’d be remiss if I didn’t state that the CG quality varies wildly, at time the lower-end is intentional, but the tenor of the film forgives a lot of it. However, Girl vs. Monster is ultimately a very successful horror/comedy which targets a more innocent sensibility of Halloween that is the purview of projects designed for TV and younger audiences. It’s an effective tone that when well-executed takes me back. The film does well to focus, when appropriate, on comedy such that the film is always entertaining. This film, like many latter-day DCOMS, also features music, but in a more organic way than most. A bonus is that the songs are pretty good and catchy and as opposed to many DCOMS not over-produced to Glee-like proportions, and allow Olivia Holt and Luke Benward to showcase their voices. Girl vs. Monster is a really enjoyable, funny and quick-paced film, which delving even further into microcosm falls just behind Mom’s Got a Date with a Vampire in terms of best Halloween DCOM. Recommended for both fans of DCOMs and those who like variety in their Halloween-related viewings.